Hypoallergenic, strong and light weight. 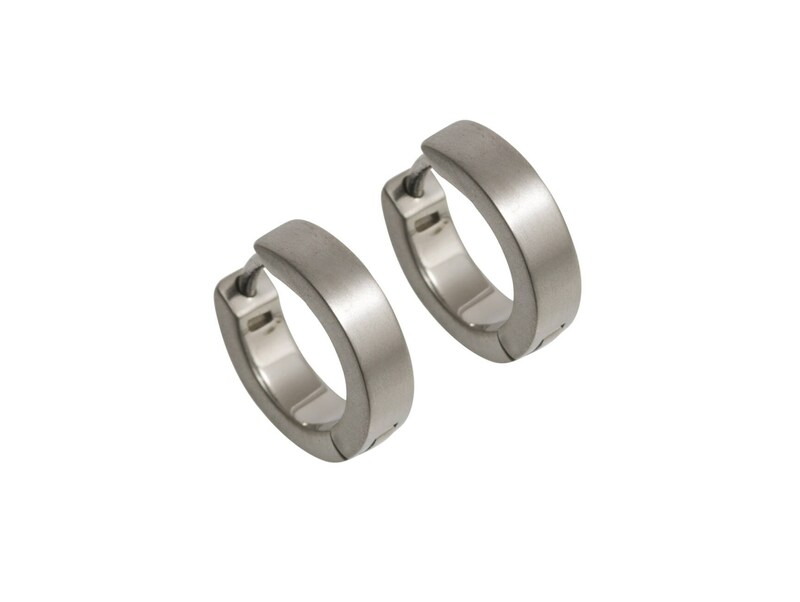 These straight through, hinged hoop style earrings are perfect for men or women to wear every day. They are made from solid titanium. Titanium is the perfect metal for strong, lightweight and durable jewellery. Dimensions: 12mm diameter and 4mm wide.